Wow! another great food truck event. 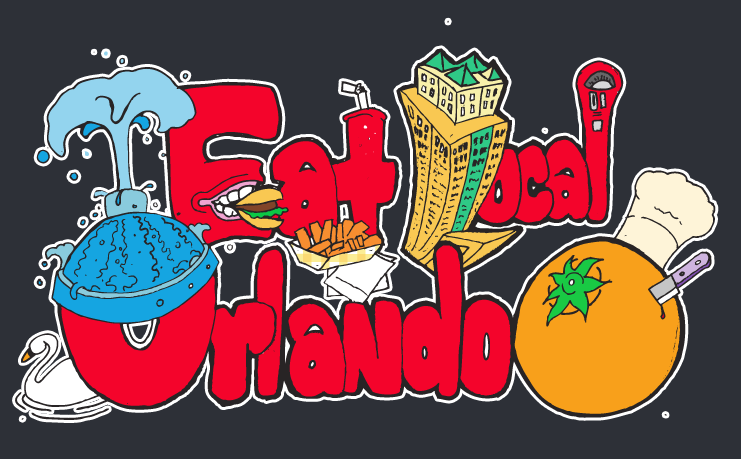 Orlando's finest Food Trucks, Live Music, Beer and even a Kids area! 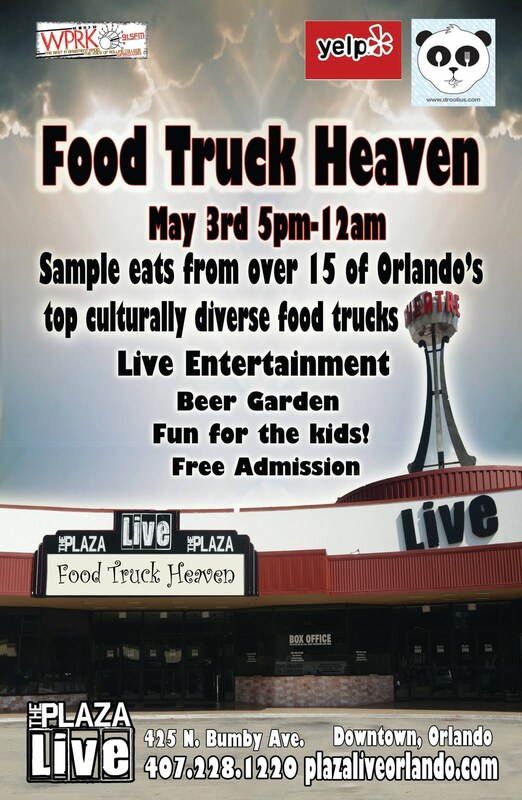 Tuesday May 3rd from 5pm - 12am sample eats from over 15 of Orlando's top culturally diverse food trucks! Free admission! Live Entertainment! Great Brews in the Beer Garden! Fun for the Kids! Get to The Plaza Live to discover Food Truck Heaven! 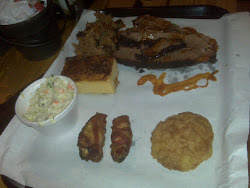 ORLANDO, Fla. – April 26, 2011 – The Plaza 'Live' Theater, Orlando's premiere live concert venue, has teamed up with Kenny and Denny’s BBQ to put on a food truck event like no other: Food Truck Heaven! 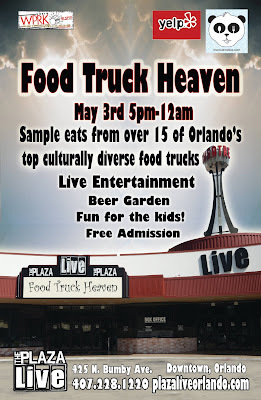 Starting at 5 p.m. on May 3, 2011, The Plaza will be hosting Food Truck Heaven, a 'mobile food court' of sorts, where hungry patrons can sample a variety of culturally diverse culinary delights all in one location. "If you love ethnic cuisine, food trucks, and beer, this is the event for you," says Ken Cornell of Kenny and Denny's BBQ. 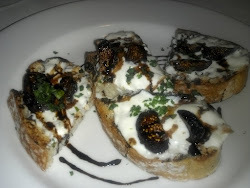 "Come and try food truck fare from around the world." Other local vendors who will be participating in Food Truck Heaven include: Tia’s Plantain Chips; Demeter’s Harvest (selling fresh salsas and dips); Luther’s Produce (local produce farmer); Universal Spiritual Elements (selling empowering Quartz Crystals/ precious stones & jewelry); Pleasant Earth Soap Co. (selling handmade healthy soaps); and De la Cruz (featuring amazing artwork). Face painting, caricature drawings, and a drum circle will provide entertainment for the entire family. Giving World Percussion's Jason Isla will be available starting at 8 p.m. to lead the drum circle, provide additional drums, and encourage children of all ages to join the fun. Local musicians Jared Goldberg, TBA, Legacy, and Everyday Ghosts will also perform. "I expect an evening of great culinary and musical diversity, and a shared community experience," says DJ Jessica Pawli of WPRK 91.5. The Plaza is located at 425 N. Bumby Ave., in Orlando. Admission to Food Truck Heaven is free, and there will be plenty of 8-foot tables for customers. However, chairs will be limited, so patrons are encouraged to bring their own folding chairs. For more information about this expanding event, to offer suggestions, or to see the latest food trucks added to the lineup, visit Food Truck Heaven on Facebook at http://tinyurl.com/foodtruckheaven-fb Food truck vendors interested in participating can contact Ken Cornell at 407-923-6152. The Plaza 'Live' Theater is Orlando's premiere live concert venue, offering a wide range of concerts, comedians, and cultural events. The Plaza has been making renovations in all aspects, which include replacing the seating in the main hall with removable seating, allowing for a wider range of talent. A newly revamped concession area also features hot sandwiches and arepas made to order by Kenny & Denny's BBQ.